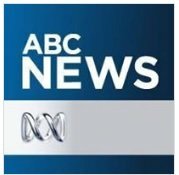 News TV Channel / The ABC has an unequalled network of news-gathering resources with more than a thousand journalists, major newsrooms in every capital city in Australia; 49 regional bureaux around the country, and a dozen international bureaux around the world, including Russia, Japan and the Middle East. In 2010, ABC News built on its commitment to live coverage of rolling news events and breaking news, with the launch of ABC News 24. Australia’s first, free-to-air 24-hour television news channel, ABC News 24 is designed for all digital platforms enabling you to know what’s going on in your world now – on TV, online and on mobile – becoming a leader in multi-platform delivery.